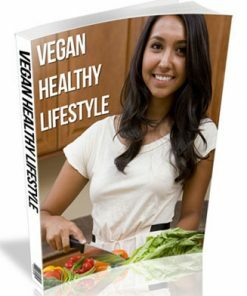 Vegan Fitness Ebook and Videos package comes with everything you need to profit from the healthy eating and lifestyle niches. Master Resale Rights included so you can Resell as much as you want. Extras: Upsell package with video’s, audio, Upsell Sales Page and more. “Vegan Warrior: Green Athletic Fitness Blueprint” contains proven steps and strategies on how to begin your own vegan diet, how to maintain and acquire the type of body you wish on a vegan diet and presents to you athletes and prominent individuals who debunk some of the greatest myths when it comes to the world of vegan eating. Many individuals believe that a vegan lifestyle is not a lifestyle conducive to muscle building or psychological health. Many believe vegans cannot possibly obtain the protein sources they need in order to keep their bodies working efficiently, and others believe that a vegan lifestyle is not one that should be held for the long haul. Many people are under the assumption that, in order to live a healthy and productive life inside (and outside) of the gym that one has to consistently chug protein shakes and energy supplements in order to improve performance. Well, we are here to let you know that none of these are true. This book will have real-life athletes who not only live a vegan lifestyle, but prove that performance and muscle-building are not simply based around the idea of laboratory-manufactured and animal-based protein sources. 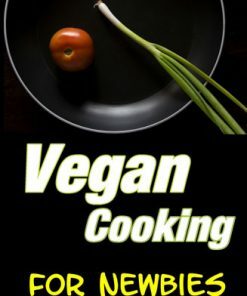 This book will talk about the true dietary needs of vegans and where they get their sources from, and it will compare the types of nutrients and proteins other dietary lifestyles obtain in order to show that vegans do not simply go without, they just choose to broaden their food-based horizons. Not only that, but many people believe that a vegan lifestyle cannot possibly give someone the energy they need in order to go workout in a gym for two hours. Well, not only will this be yet another myth debunked within the pages of this book, but it will also be something we address in full. That is, we will outline various workout plans and routines that will benefit the vegan lifestyle you have chosen (or are, at least, curious about) in order to achieve the physical benefits you want for your own body. Yes, it is possible to build muscle on a vegan diet, and yes, it is possible to keep up those cardio-based marathons on a vegan diet. In fact, you will be genuinely surprised as to how similar the workout routines are of those who “eat vegan” and those who do not. 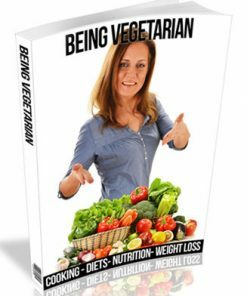 Within the pages of this book will be dietary outlines for those who are (or want to be) vegan, exercise guidelines for those eating this type of food lifestyle, and athletes that will be highlighted in order to show real-life examples as to how this works. Not only that, but these athletes will have their own personal testimonies as to why they began this lifestyle and how it has benefit from them in the long run. And, as if that was not enough, all of those dreaded myths perpetuated about the vegan lifestyle will finally be debunked. Welcome to the new and amazing world of the vegan warriors. 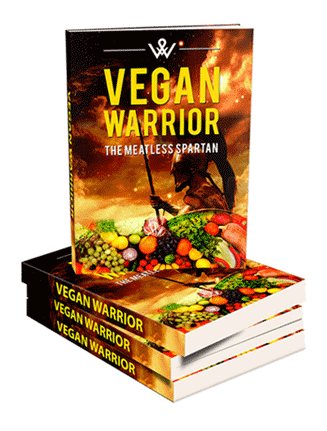 Ebook – 66 page PDF that give the details of the vegan warrior, the meatless spartan. Covers the vegan fitness including debunking myths, athletes, health, performance, workout plan and much more. Book has a professional layout with quality graphics. 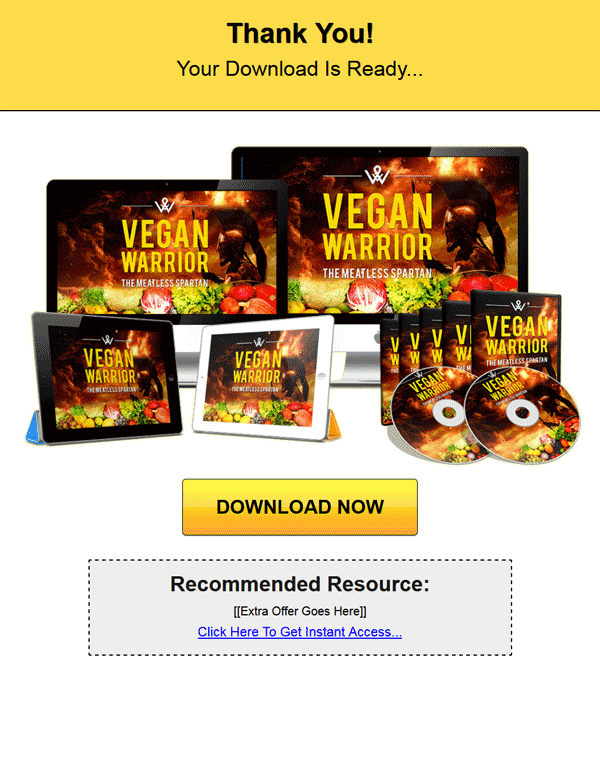 Reseller Kit – Includes everything you need to resell the Vegan Fitness Ebook and Videos package with a quality sales page and matching download page. Simply insert your payment link and your download link and it’s set to make you cash on automatic. Best yet, you get to keep 100% of the profits on every single sales you make. 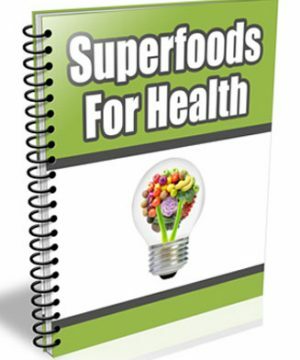 Checklist – 21 page PDF will help your customers run through the proven steps and strategies to begin their own vegan diet and how to maintain it, to acquire the type of body they wish to have. Mind Map – 3 mind maps to help your customers stay on track and keep with the system. Includes, PNG, JPG and EMM versions. 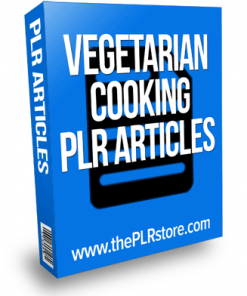 Video Sales Letter – Vegan Fitness Ebook and Videos Video sales pages have proven themselves in obtaining higher conversions and we’ve included one to help you make more from your traffic. MP4 format. Lead Magnet – Quality 27 page lead magnet you can use to build yourself a email marketing list is this very popular and highly profitable niche. Entitled, “7 Super Foods For Vegan Athletes”. Landing Page – use this ready to go squeeze page with the above give away report and build a list today. Comes with a quality squeeze page (just copy and paste your optin code intot he page) and a matching thank you page. Both in standard HTML so you’ll know they are easy to edit. Emails – 5 pre written autoresponder messages for the above squeeze page and lead magnet. Plus they are in the Vegan Fitness Ebook and Videos sales stage with Benefits, Launch, Reminder, Scarcity and Statistics. Could help you sell even more copies of your new product. 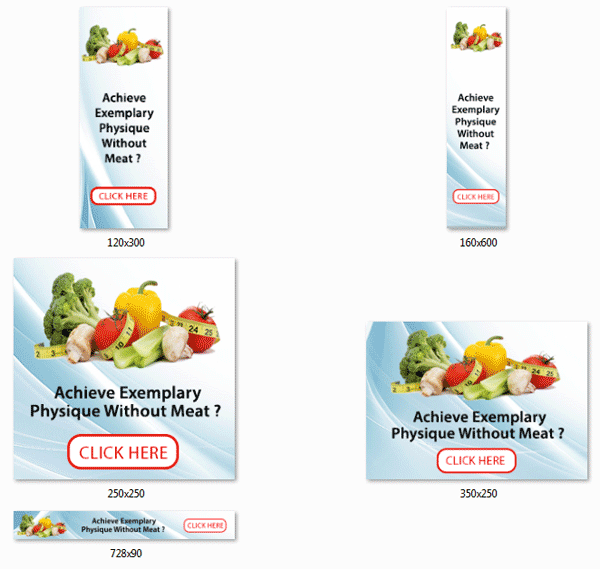 Banners – 5 professional banner advertisements you can use to push traffic to your new Vegan Fitness Ebook and Videos sales page. The popular sizes of 120×300, 160×600, 250×250, 350×250 and 728×90, in PNG format. Graphics Pack – All kinds of ecovers, including, Ebook. Box, Bundle, CD, Checklist, DVD, Logo, Min Map, Special Report and more. 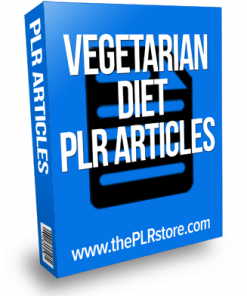 Video’s – 8 quality Vegan Fitness Ebook and Videos all in MP4 format. Comes with a video for each chapter of the book. Since video is such a popular format, this can help you make more of that Upsell Cash. Audio’s – 8 MP3 audios, following along with the ebook, one for each chapter. With so many people who like or want to learn on the go, here’s another feature that can get you more upsell sales. 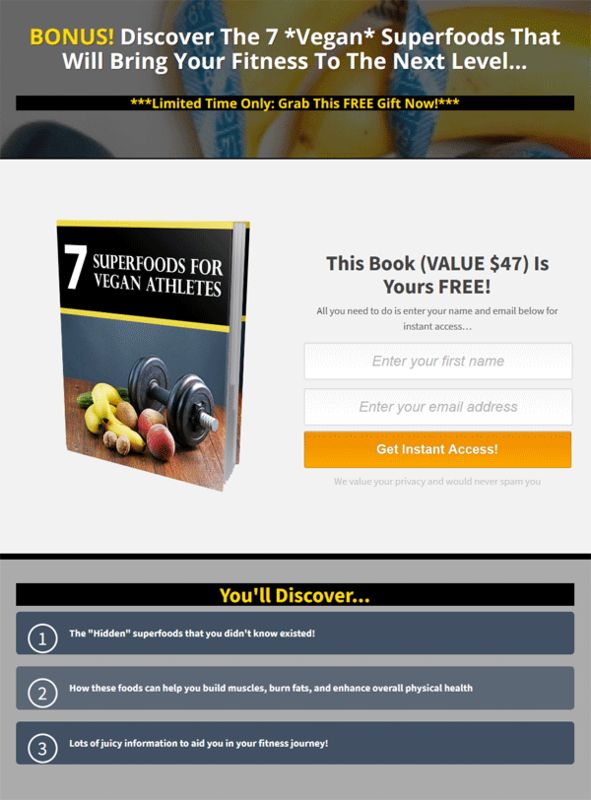 Upsell Sales Kit – Comes with all you need to profit from the upsell including a professional Vegan Fitness Ebook and Videos upsell sales letter and a download page for your customers to download what they purchased. Here’s how you can make even more from your buyers. They trusted you enough to purchase the main product, so they are more likely to pick up the upsell. Transcripts – 8 PDFs, one for each of the chapters, for those who like to read or take notes. You’ll have every learning option covered. Graphics – Even more graphic images for the upsell including, Bundle, IMac and iPad. Discover Effective Strategies On How To Kickstart Your Vegan Fitness Plan! Once mocked as a cult-like fad trend, veganism has started becoming more popular and mainstream in the United States. Today’s vegans come from all walks of life including working mums, college students, teenagers, even professional athletes. Vegans have since come a long way and the good news? – Vegans don’t have to stick to just plain old steamed vegetables and brown rice anymore. In fact, there are now more diversity in terms of cooking and choosing the right kind of ingredients for your vegan diet. And more vegan dishes available with restaurants promoting their plant-only menu. In 2009, only one percent of the US population are vegetarian or vegan. Now, as of June 2017, six percent of Americans are vegan. And of all these vegans, the majority are women. But that’s not all… Because soon after that, men started following this lifestyle . At 2012, overall meat consumption decreased by 12.2% from 2007. Google even found a three-fold increase in vegan searches from 2007 to 2014. 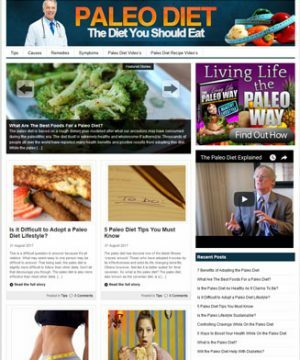 As you can see by now, the vegan lifestyle garnered the attention of many health enthusiasts worldwide. Have you ever wondered why many prominent athletes opt for plant-based protein instead of animal protein? That’s because research by the American Journal of Clinical Nutrition showed that plant-protein diets is the better choice for building muscles. Plant-based protein is packed with antioxidants and fibers which can enhance body recovery. Less inflammation in the body would mean that athletes only need minimal amount of time to heal from muscle aches and pains. Also, did you know that you don’t need meat, dairy, egg whites or proteins like chicken or fish to build muscles for you? In fact, the kind of plant-based foods that can help you build muscle mass are alkaline. They increase your body’s pH levels to combat inflammation, which is common when you consume large amount of animal protein. Superfoods like tempeh, quinoa, pumpkin seeds and almond butter are great sources of plant protein. It’s Time To Look Good and Feel Better Like Never Before! My entire collection of how to begin your vegan journey and reap the full benefits of being one! 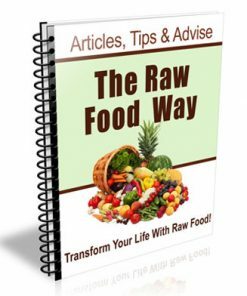 Just know that I’ve spent hundreds and thousands of dollars into developing these proven strategies to give you the best experience out of your vegan lifestyle. And here’s your golden opportunity to learn my secrets to getting the kind of lean and healthy body you want when you eat vegan. I’m granting you the permission to follow my method and apply it into your new transformational lifestyle. It’s Your Chance Now To Unleash Your Inner Vegan And Go Beyond Your Boundaries! A Life-Changing Blueprint On How You Can Kickstart Your Vegan Diet Today! Vegan Warrior is your go-to Masterguide on ways to attaining the lean and healthy physique you want on a vegan diet. You will discover the truth behind commonly known misconceptions people have towards this amazing lifestyle. Find out how prominent athletes are able to stay at the top of their game on a plant-based diet. In The Most Natural Way! Is Going Vegan A Far Superior Choice? Here’s the good news: They minimize the risk of injuries that can occur during physical activities – sports competitions, extreme sports, boot camps…You name it! Not a fan of the extreme? No matter then because there’s more to these hard rock babies than meets the eye! They’ll help your body to burn more calories throughout the day. Making even the simplest and most relaxing work outs to burn calories twice the amount of speed. Remember: the more calories you burn, the more fats you burn. You will begin to see mind-blowing results and notice positive changes when you apply what you’re about to learn in this life-changing blueprint. The benefits of eating vegan are simply endless! Secret Bonus #2 – Comprehensive MindMap – Perfect for ‘visual’ learners. This complete mind map outlines everything you are going to learn throughout the entire course. With just a glance, you will have a clear picture of what to expect and you will absorb so much more than reading through the book by pages! P.S. With Vegan Warrior you’ll learn how simple it is to kickstart your vegan lifestyle – with minimal effort. I changed my life completely by using the methods inside this amazing blueprint. Please… do yourself a favor and try it out. I know you’ll be mind-blown! A healthy, restorative physique is here for you too. Click Here Now! You’re One Step Closer To Attain Your Dream Physique – Vegan Style! I want to personally commend you for being willing to commit and take massive action to secure your health, especially when it comes to making transformational changes to improve your life. But your order is not quite complete yet though… so don’t close this page yet! Or you will lose out your ONE-TIME to get the slim body you want and reap the full benefits of eating vegan – Faster. What I’m about to show you will increase your likelihood of following through with the method AND achieving so much more than you ever thought possible – in half the time! It is an amazing offer that will go well with your new product. That said, I’m pretty sure that more than 60% of the readers won’t even last a single chapter. That’s the reason why many didn’t get the results they truly desire because they gave up half-way through the process. What if… I can show you a way to shortcut the tiresome process? That’s right, I’m talking about cutting half the time you spend on reading and gaining 30-40% more results. As you probably already know by now, videos are one of the most impactful ways to keep one engaged with your content. Think of this upgrade as a LIVE workshop where I’ll guide you by the hand and show you step-by-step as if I’m right beside you. You remember more from this video course than the game plan because you have a voice that speaks to you, guides you and grabs your attention with visual graphics. You digest everything easily from this course without any distractions or boredom. Did You Know That We Remember 50% Of The Things We Hear And See? This interactive form of visual receiving allows you to easily recall what you have learned. And break the boundaries of what you might already know about a topic. These videos are designed and recorded by a professional voice-over actor for optimum results. Meaning… You get more profound results in LESS time! And I want you to see positive results when you put everything you have learned into practice. 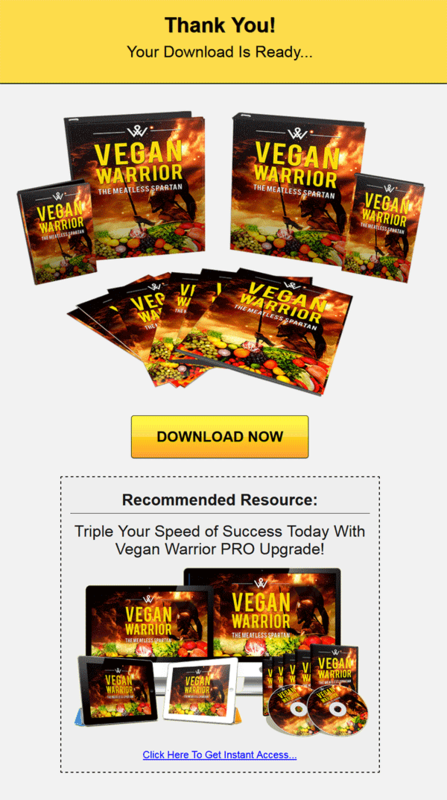 You Get 8 High-Quality Videos of Vegan Warrior! [YES] Can be sold as it is not less than $7 price tag! [YES] Can Add This Product to a Membership Site or Bundled Within a Product Package as a Bonus. [YES] Can Give Away The Product (NOT The Source Code Files) To Subscribers, Members or Customers as a Bonus or Gift.